My mother always called it the eventuality. Not the maybe, or the probably. It’s going to happen, she would tell me calmly. I even know when. It’s a twist in my stars. It’s written there, and we have to accept it. My mother, Joanne Nielsen Crowe. She has a name, she’s not a was. The police are called, but they're not asking the right questions. Like why Joanne lied about her past, and what she saw in her stars that made her so afraid. But Avicenna has inherited her mother’s gift. Finding an unlikely ally in the brooding Simon Thorn, she begins to piece together the mystery. And when she uncovers a link between Joanne’s disappearance and a cold-case murder, Avicenna is led deep into the city’s dark and seedy underbelly, unaware how far she is placing her own life in danger. It's always been Avicenna and her mother, since her father passed away, but now Joanne Nielsen Crowe is missing. The eccentric Astrologer has always been in demand, possessing a gift passed down each generation, resting now with Avicenna. Avicenna has only been known as The Astrologer's Daughter by her mother's clients, her mother using their small apartment to read a client through their stars, being paid in ornaments and trinkets which now clutter their home. With nowhere to turn, Avicenna contacts the police who confiscate journals containing her last known clients, while Avicenna is expected to go about her everyday life, including school. At school where she was once teased due to her disfigurement, now the halls part for the girl who's mother is presumed to have met with foul play. Her mother had always instilled in Avicenna to left no stone unturned, so when previous clients come knocking, Avicenna begins the task of finishing what her mother began. Avicenna also holds the gift of reading past, present and futures, from the man who insists on knowing when he'll come to pass and how, the elderly mother who needs to find her daughters killer, to the young, cocky and irresistibly handsome Hugh, who was promised a reading. Where Avicenna won't deny her mother's clients closure, somewhere, her mother is still out there. With her unfinished game of Words With Friends, alone and possibly now resting with Avicenna's father. With a major assessment due, Avicenna has little time for study, even at the insistence of overachiever Simon, who surprisingly isn't the wealthy and put together boy Avicenna had thought he was. It soon becomes apparent that Simon is as invested in her mother's case as Avicenna is, and begins to rely on the boy who once called her Frankencrowe due to her scarring. But as the stars begin to align in her mother's unfinished cases, Avicenna begins to see a pattern between two cases she is completing and perhaps why her mother disappeared. But will she be too late? 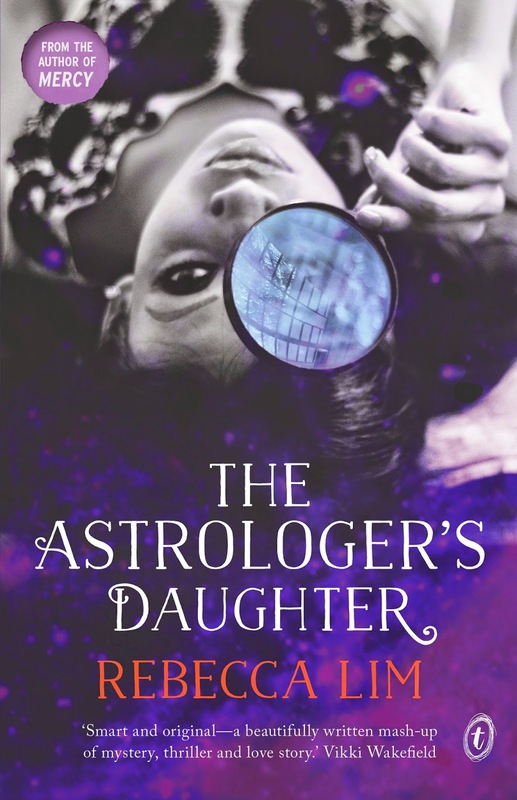 The Astrologer's Daughter was a unique contemporary, with a mythical element, depending how you perceive the gift of Astrology. It follows the story of Avicenna, who is in the midst of discovering that her mother is now missing and now fears she has lost two parents in devastating circumstances. Her mother has always instilled in her the importance of tying up loose ends, so when previous clients come knocking, Avicenna takes it upon herself to start their readings and finish what her mother seemingly couldn't. The police are skeptical of her mother's gift and believes it may be the reason she's disappeared under mysterious circumstances, but with little to go upon, the search for the truth isn't easy and Avicenna takes it upon herself to discover what her mother was working on. Avicenna is a sassy and smart young woman, who's grief is simmering just beneath the surface. But true to her word, she picks herself up and begins to discover that being exposed to her mother's gift has left her with the knowledge and know how to carry on her work. What was so striking, was Avicenna's ability to pull herself together, when she should have been close to being inconsolable. I enjoyed the brief explanations of how she used a name, birthdate and time to determine a personality or history, but the longer passages were borderline tedious and too difficult to immerse myself in. Perhaps a short preface as an introduction would have allowed me to connect to the storyline more so, as Astrology is not all that familiar to me. There are two love interests in Avicenna's life, handsome and wealthy client Hugh and the over achieving Simon who holds a secret of his own, but luckily it doesn't translate into a love triangle, as neither boy seems to be overly interested. The obvious choice of Avicenna's misguided feelings should have been towards Simon, who once her academic nemesis, sleeps on her couch. But even in the midst of the investigation, she described Hugh as her Dream Man, which seemed to be more a case of confusing interest with being romantically inclined towards her. It felt awkward and I was more interested in finding what happened to her mother, than Avicenna's love life. Overall, it was a interesting read and while Rebecca Lim spun an intriguing and unique storyline, I couldn't find a connection to the characters or Avicenna's missing mother. The situation should have been heartbreaking, but the emotion and grief over not knowing what happened to her mother felt as though Avicenna had accepted her mother was gone and possibly felt more for her mother's clients. I adored the mythology behind the gift they had shared, but it wasn't enough to keep me enthralled. The ending felt very much incomplete and almost whimsical. 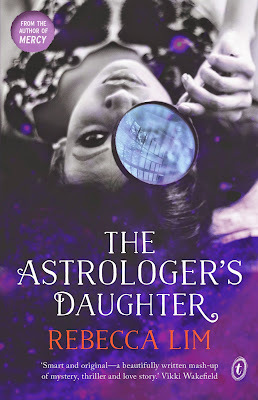 Although the I enjoyed aspects of The Astrologer's Daughter, I just couldn't find a connection sadly. I have this on my TBR but for some reason...eh, I just don't feel like it. I've never really been into Astrology, but hey! I like mysteries. So I should be good? Buuuut...I need to connect to characters to really love the book and this isn't sounding very promising for that. :| But HEY I loved the socks off The Raven Boys books and that's got the astrology palm-reading stuff. It's one of those reads that you definitely need to be in the mood for. I loved the Astrology aspects, it was incredibly unique. But sadly it felt as though it ended up getting a little lost within the contemporary storyline as well. Hmmm I get what you mean when you enjoy a book, but just can't quite connect with the characters or empathise with them, as it's happened to me before as well. I've got this to read too, and I'm hoping that it works for me. It helps to see what someone else thinks to give an idea of what I'm in for! I think if you go into this one purely to be entertained, you'll really enjoy it. I expected it to be more emotional, but it didn't get there for me. Can't wait to see what you think of it Eugenia. Sounds like quite a unique story, but also a confusing one. Too bad it was kind of loose ended towards the end and you couldn't connect with the characters. Thanks for sharing, Kelly! Sadly, the lack of character likability washed the storyline out for me a little. But even though I couldn't connect, it was still a pretty good read. Oh no... a love triangle........ Oh and how you described not being able to get in touch with the characters.... why do pretty covers have to be so deceiving for! Isn't the cover just gorgeous! The love triangle was so awkward, but luckily doesn't last long. If the characters had of been more in depth, it would have been a fantastic read.